Jimmy B. Prince is a fellow of CPA Australia, a tax specialist and author of several investment books. He is a former lecturer and tutor in income tax law at LaTrobe University and teaches a number of investment courses for the CAE in Melbourne. 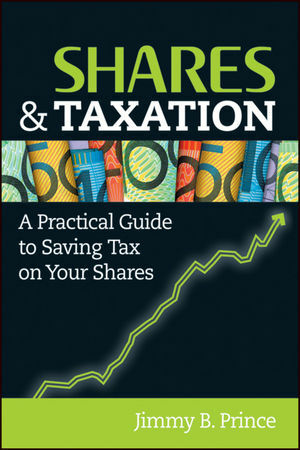 1 Th Australian tax system and shares. 2 Share trader or share investor: why all the fuss? 3 Contract notes: the foundations of your taxation records. 4 Taxation and ownership structures. 5 Taxing your share transactions. 6 Taxing your capital gains and losses. 7 Tax-eff ective borrowing to buy shares. 8 Taxation treatment of derivatives. 9 Keeping proper records and tax audits. Appendix A: Key historic dates: shares and taxation. Appendix B: Taxing non-residents of Australia.